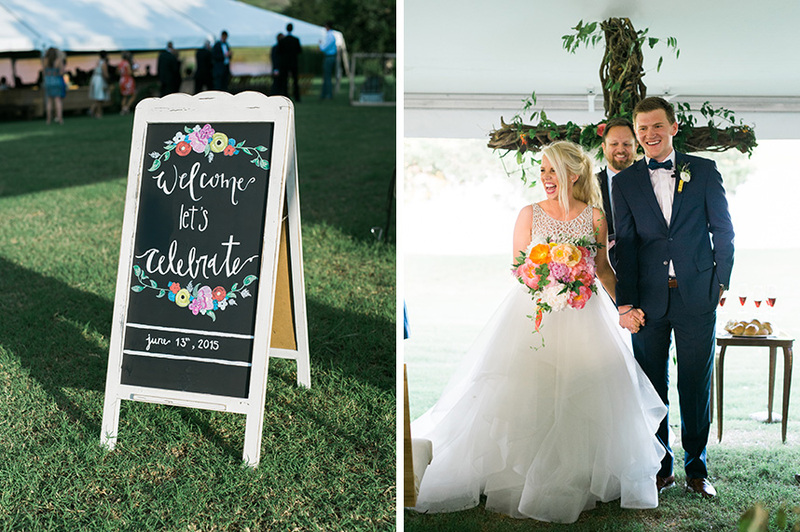 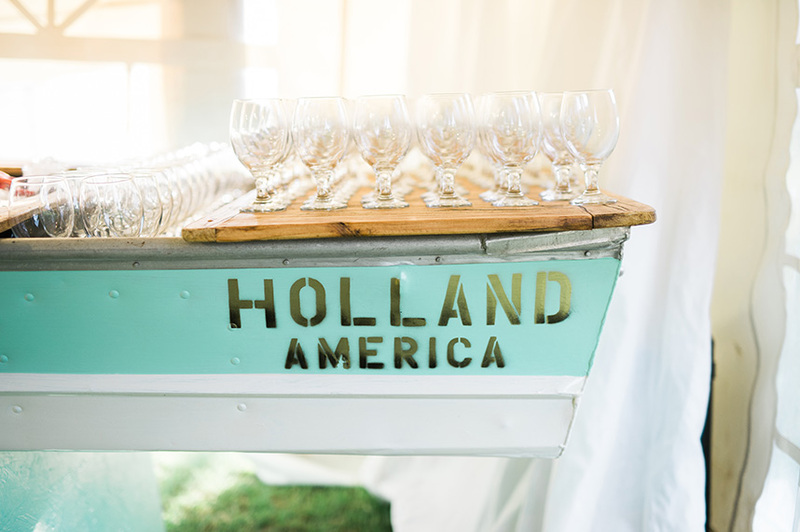 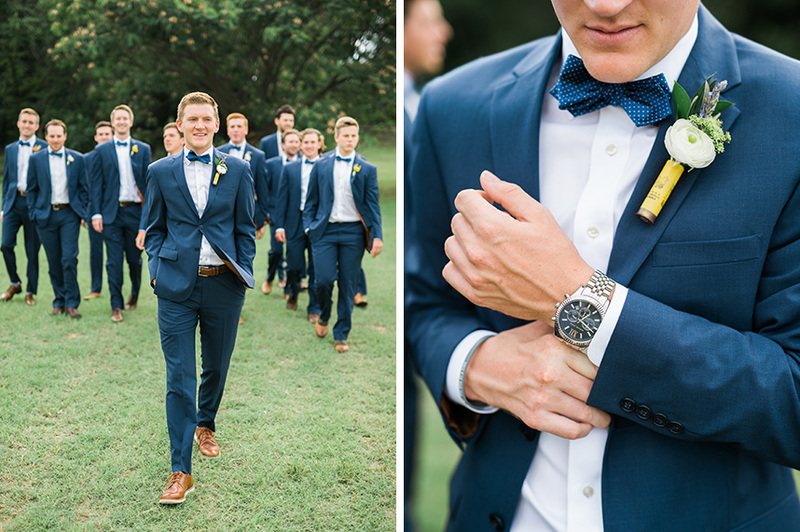 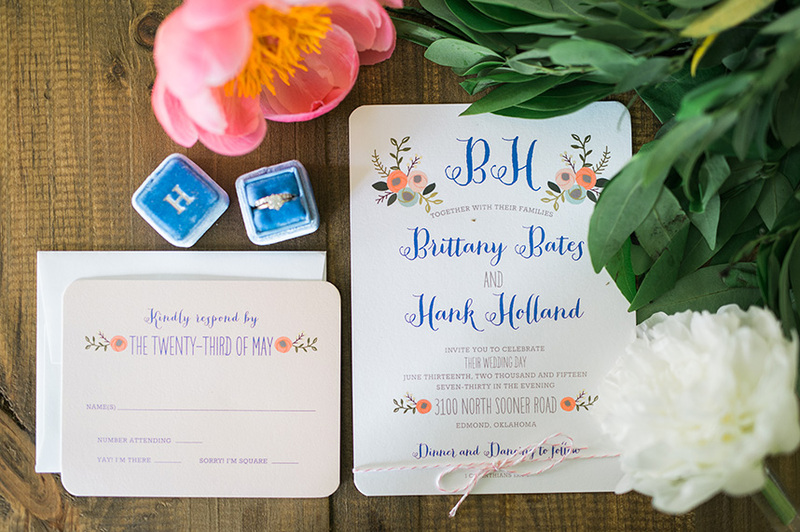 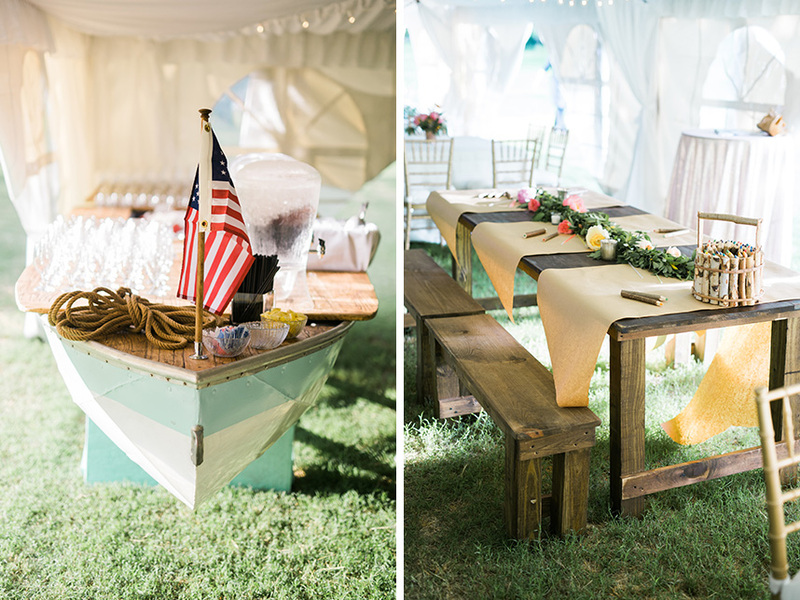 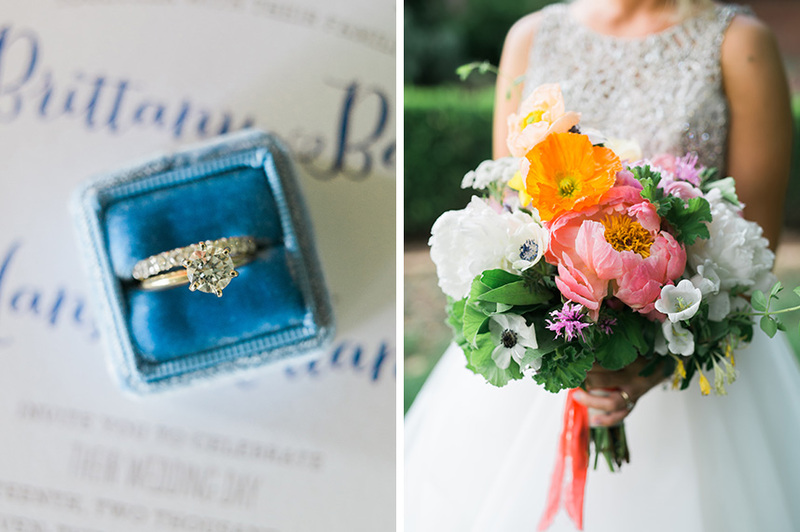 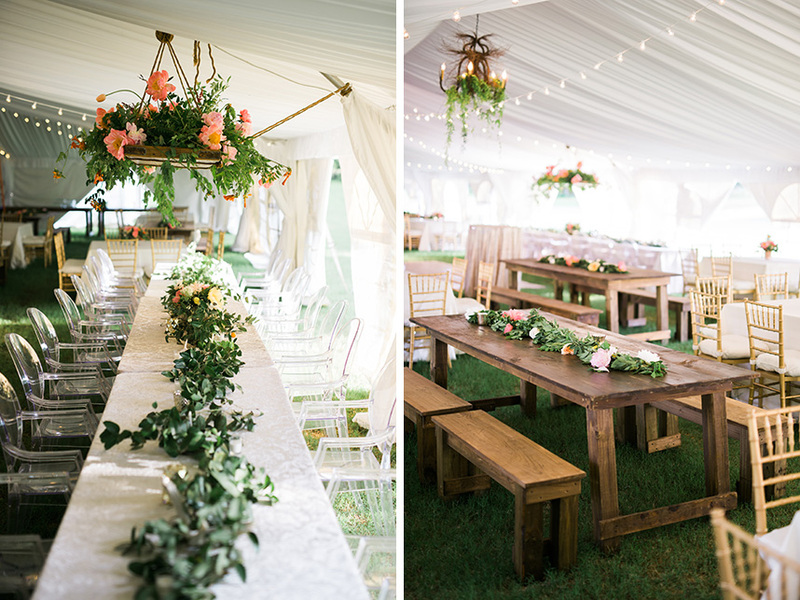 We love Brittany and Hank’s southern chic wedding planned by Leslie Herring Events and captured by Josh McCullock Photography! 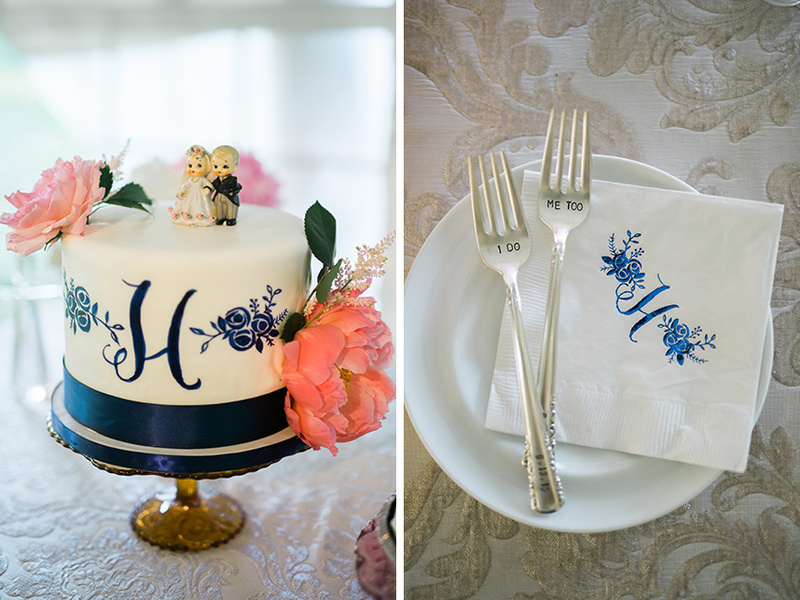 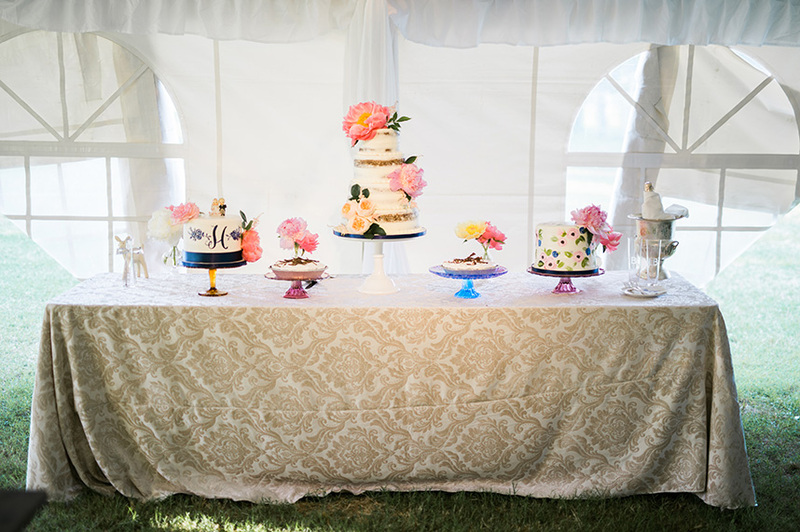 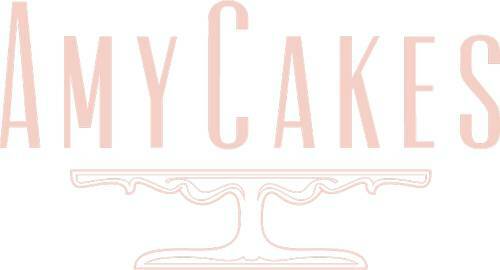 Everything from the invitations by No Regrets to the painted cakes by Amy Cakes was nothing short of beautiful. 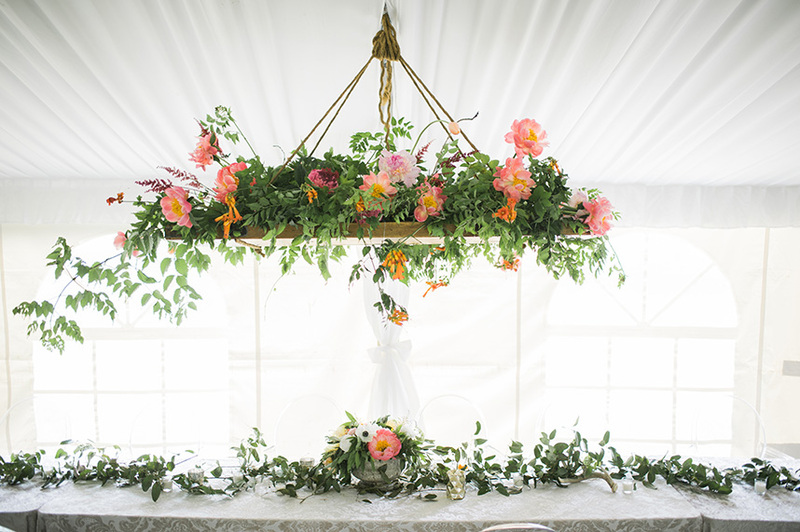 Pretty in pink, orange and yellow, the bright floral arrangements by Poppy Lane Design were the perfect accessory to the bridesmaids’ dark blue and beige dresses from Prim. 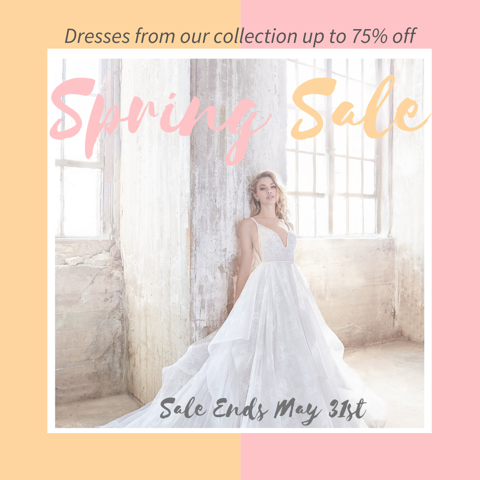 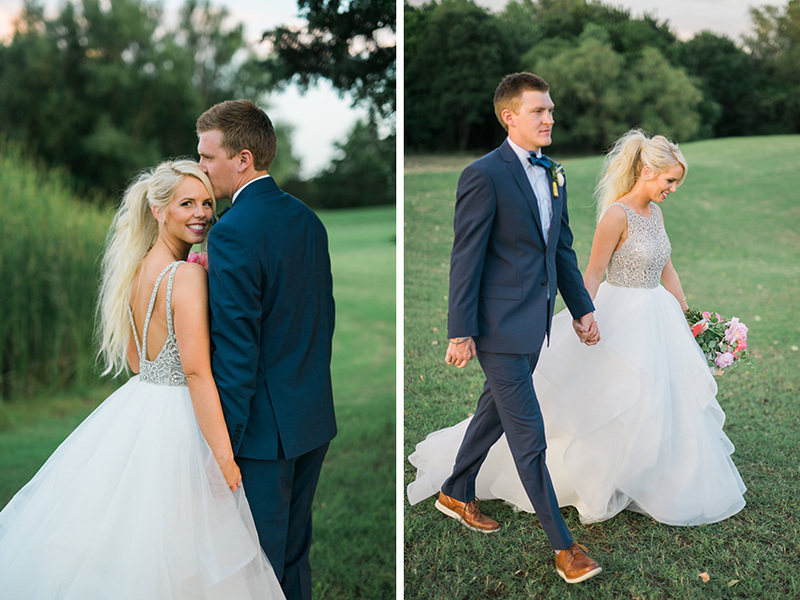 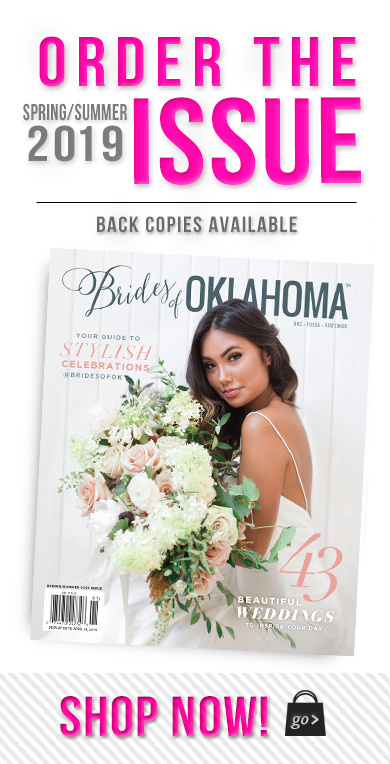 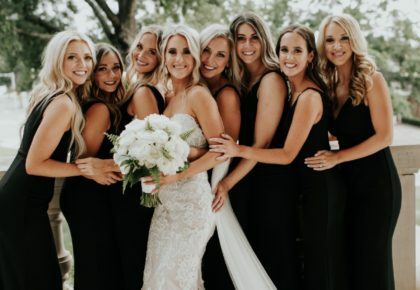 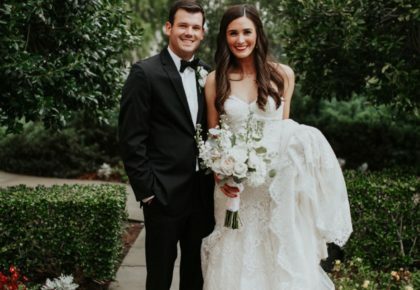 The gorgeous bride wore a stylish Hayley Paige ball gown from J.J. Kelly Bridal Salon, adorned with a crystal bodice, and had her playful makeup done by Faccia Bella! 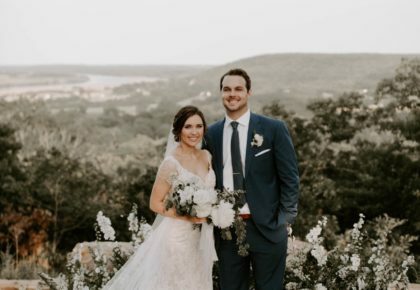 The reception was held under the beautiful night sky – the perfect setting for their dance party with music by Hook with Box Talent Agency – complete with rentals from Marianne’s Rentals, Mood Party Rentals and Kahoy Studios and with lighting from Innovative Event Solutions! 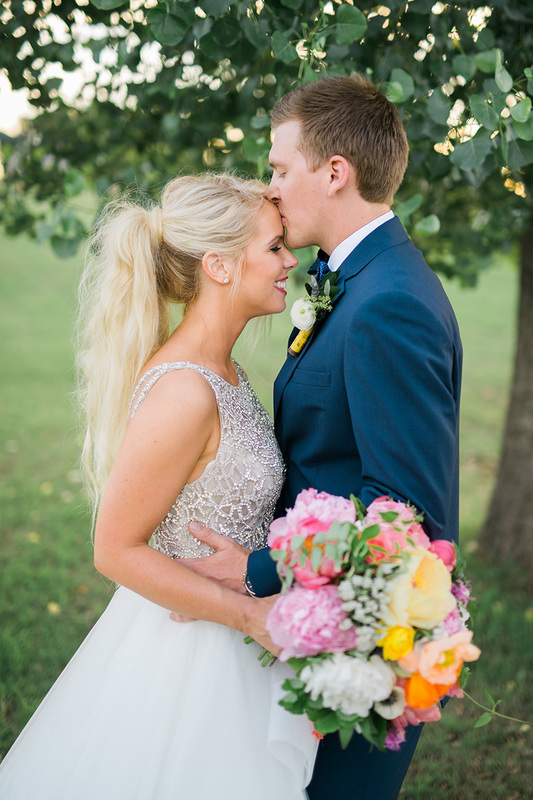 You can easily feel the love these two shared with everyone who attended this lovely summer wedding!